A man rang police and informed them he had drugs in his possession, Craigavon Magistrates Court heard last Friday. Paul Cassidy (25), Mark Street, Lurgan, appeared in court by way of videolink from Maghaberry prison. He admitted unlawful possession of cannabis on August 16 last year. 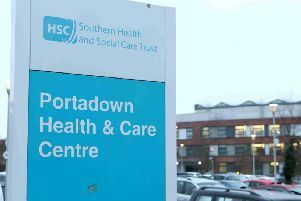 The court heard police received a call from the defendant from Craigavon Area Hospital and when they arrived he handed over a small lump of a brown substance which he said was cannabis. Mr Gabriel Ingram, representing the defendant, said Cassidy was in custody since November last year on a charge of arson. He explained that his client had been granted bail to a hostel in Belfast but a bed was not yet available. Mr Ingram said that Cassidy had rang police from the hospital and self-declared that he had cannabis on him. He added that the defendant had a previous conviction for a similar offence in 2012 and asked the court to consider a conditional discharge which would not affect his bail. District Judge, Mr Mervyn Bates, said that a fine would be the normal way to deal with this matter but on this occasion he would impose a conditional discharge for 12 months.